For what seemed like forever people had been speculating about Apple making some kind of smartwatch. Last September, alongside the unveiling of the new iPhone 6 and iPhone 6 Plus, Apple also officially introduced their entry into the world of wearable tech with a watch that was simply called Apple Watch. Or Watch if you’re feeling fancy. (That little  symbol is the option+shift+k keyboard command in case you were curious.) While Apple dished out what the Apple Watch looked like and some of its major features at that September event, there were still plenty of questions left, and a ton of speculation has followed in the months since. Today Apple held yet another event, covering a wide variety of topics but mainly focusing on the Apple Watch, and now we have even more answers than we did before. However, one big question is how much gaming will play a part in the world of the Apple Watch. I mean, I think it was always a given there would be games of some sort on the platform, but the tiny size of the screen and the fact that it’s strapped to your wrist left questions of how practical it actually would be to game on the Apple Watch. 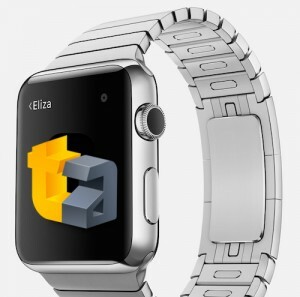 What we have here is a look at four games which have been announced for the Apple Watch. Based on the same puzzle mechanic found in their newest iOS release BlastBall MAX (Free), developer Monkube has adapted the game for the smaller Apple Watch screen and dubbed it BlastBall Duo. The “duo" refers to the multiplayer nature of the game, as this is a 1v1 multiplayer game. The gameplay uses the same make-5-in-a-row with moving board pieces that the bigger BlastBall MAX uses, but condensed down to Apple Watch size. BlastBall Duo should be available sometime in Q2 of this year. 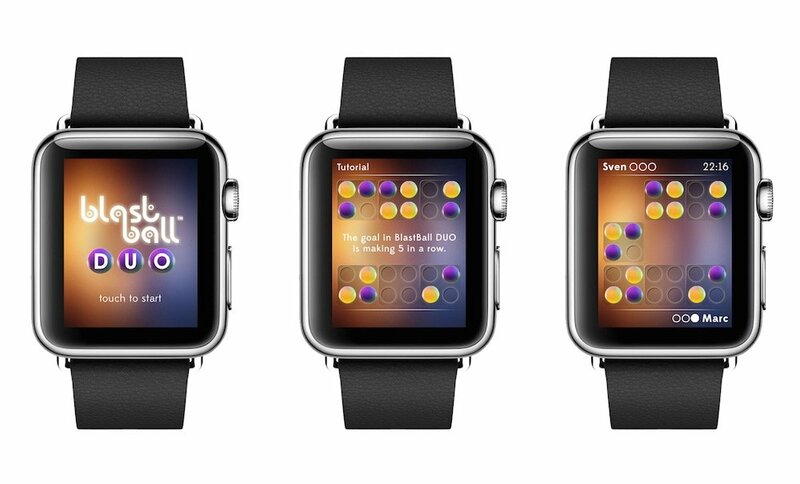 Developer Klemens Strasser is also adapting his larger iOS game Elementary Minute ($0.99) for the Apple Watch. Elementary Minute is a fast-paced quiz game that has you determining whether the statements or visuals it’s showing you onscreen are correct or incorrect. You simply swipe in a direction to give your answer, making this something that should translate well to the Apple Watch. Look for Elementary Minute in time for the Apple Watch launch on April 24th. Hatchi ($0.99) has been around for a few years now, and totally nails the look and feel of those old LCD virtual pets that were all the rage in the late ’90s. 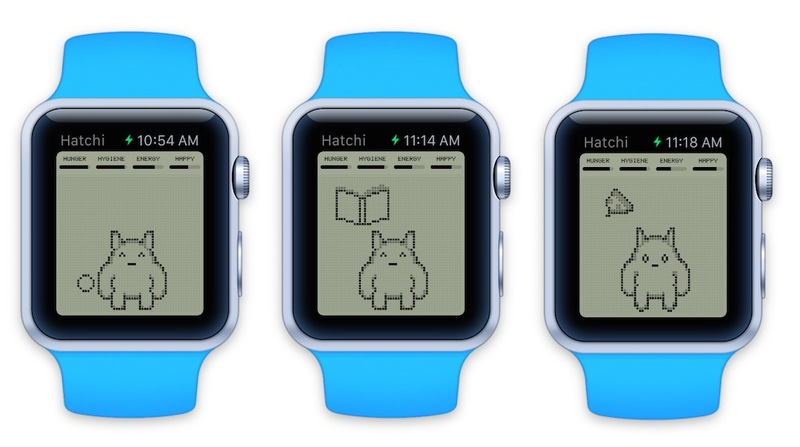 Now with the Apple Watch, your Hatchi will live on your wrist as well as your iOS device. Developer Portable Pixels says the Apple Watch version will arrive as an update to Hatchi following the launch of the device, and will be free for all current Hatchi owners. Because apparently that’s something you can do? Cool. As we first learned back in January, Nimblebit’s upcoming game Letterpad will also be available on the Apple Watch. Letterpad is a word game that’s somewhat similar to Nimblebit’s previous Textropolis, in that your goal is to make as many words as possible from a certain selection of letters. In the case of Letterpad, you’re given a grid of 9 different letters and must make as many words as you can on the topic given. No specific release date has been given for either the iOS or Apple Watch versions of Letterpad, but we’ll let you know when we hear more. Next PostNext ‘Party Hard’ Will Have You Kill the Party, Literally.